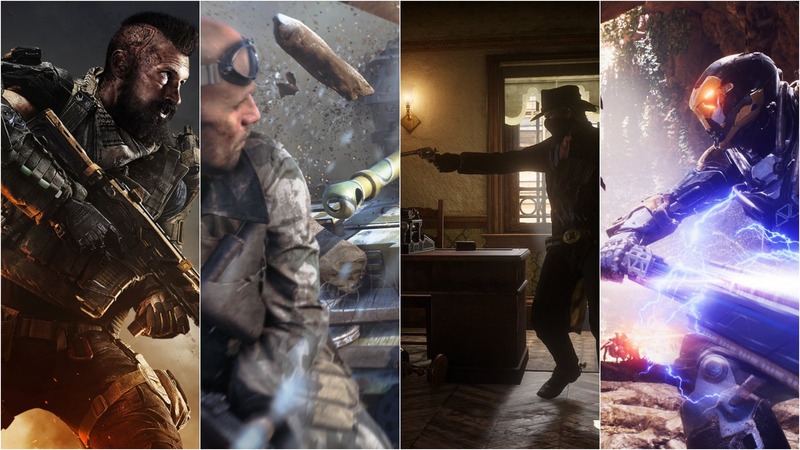 Analyst firm Piper Jaffray (NYSE:PJC) shared today updated reports containing the sales estimates for some of the biggest publishers in the games industry: Activision (NASDAQ:ATVI), Electronic Arts (NASDAQ:EA) and Take-Two (NASDAQ:TTWO). Starting with Activision, Piper Jaffray’s analysts Michael J. Olson and Yung Kim estimate that Call of Duty: Black Ops IIII, due to launch on October 12th, will sell around 21.5 million units in the calendar year 2018. That would be 3.5 million higher than last year’s Call of Duty: WWII. The table also includes estimates for Spyro: Reignited Trilogy (launching September 21st), which the report puts at 3 million units, as well as the next Destiny 2 expansion (Forsaken, due on September 4th) which is believed to be capable of selling about 8 million units. Moving onto Blizzard’s titles, World of Warcraft’s Battle for Azeroth expansion (out on August 14th) is anticipated to increase both core game sales and subscribers base, as usual with the MMORPG’s expansions. 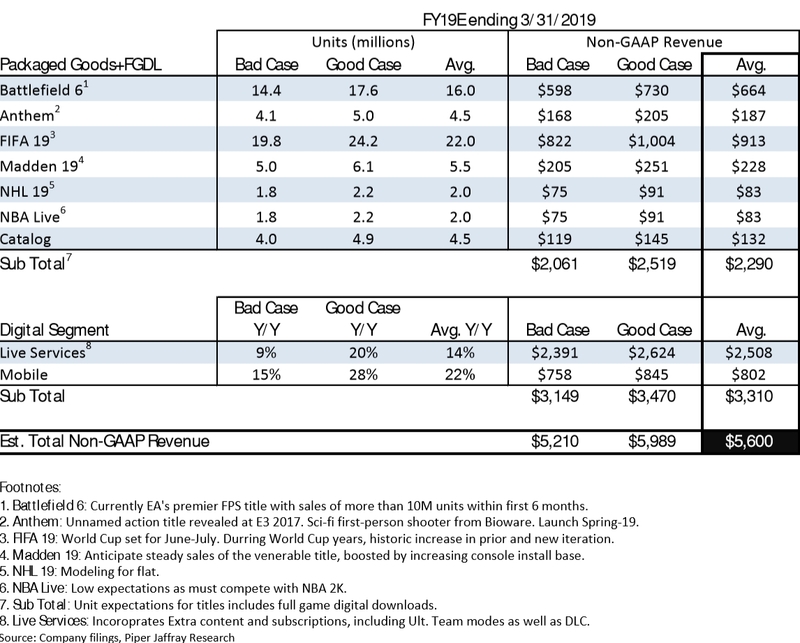 With regards to Electronic Arts, Piper Jaffray estimates Battlefield V (out on October 19th) will sell approximately 16 million units by the fiscal year’s end on March 31st, 2019. Bioware’s Anthem, on the other hand, is expected to sell 4.5 million units in just over a month since its February 22nd, 2019 launch date. 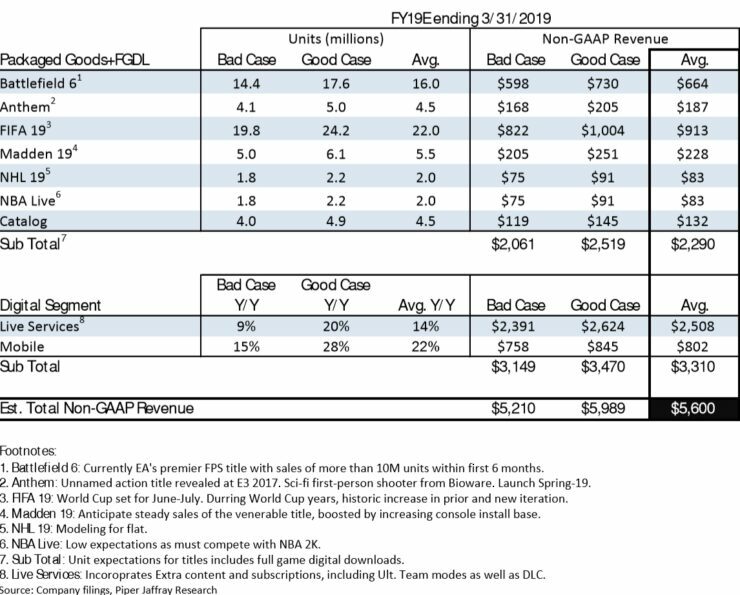 Last but not least, Piper Jaffray estimates that Red Dead Redemption 2 from Rockstar Games (due October 26th for PlayStation 4 and Xbox One) will have sold 15.5 million units for Take-Two by March 31st, 2019. 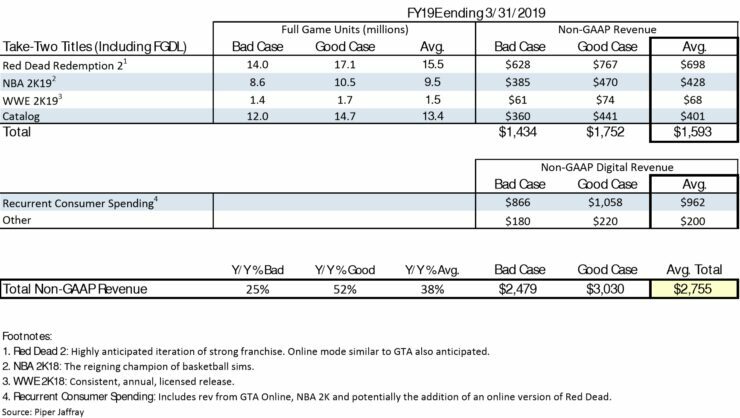 The firm’s analysts don’t quite expect the same level of success enjoyed by Grand Theft Auto V, though that’s probably fair as the Western genre makes it more of a niche appeal compared to GTA. 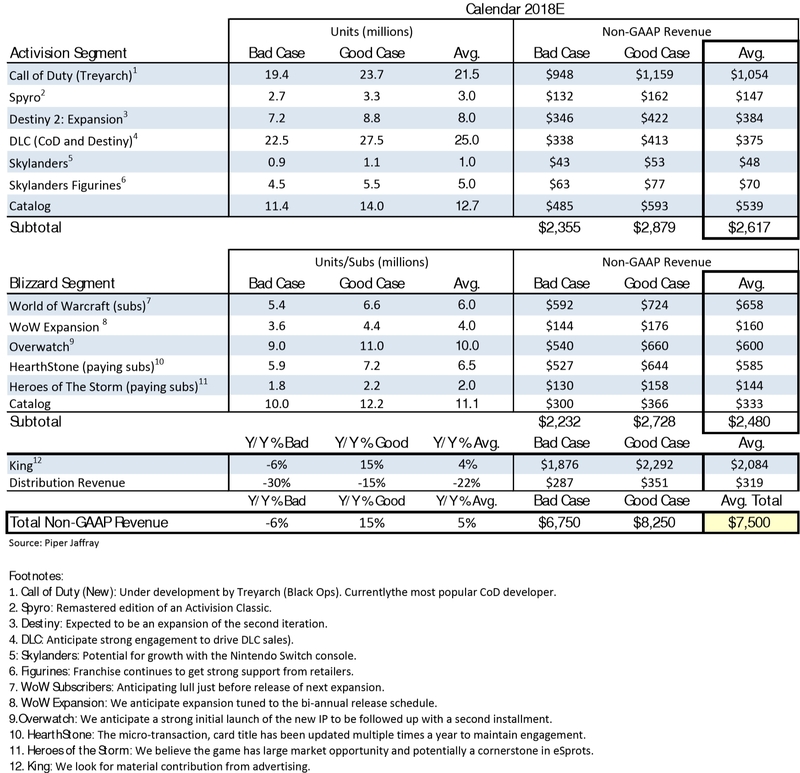 At the same time, they expect increased recurrent consumer spending due to the ‘Red Dead Online’ portion. Rockstar hasn’t spoken yet about the details of Red Dead Redemption 2’s multiplayer, but Take-Two CEO Strauss Zelnick previously hinted that it should work in a similar way to GTA Online, which delivered great results for the company.